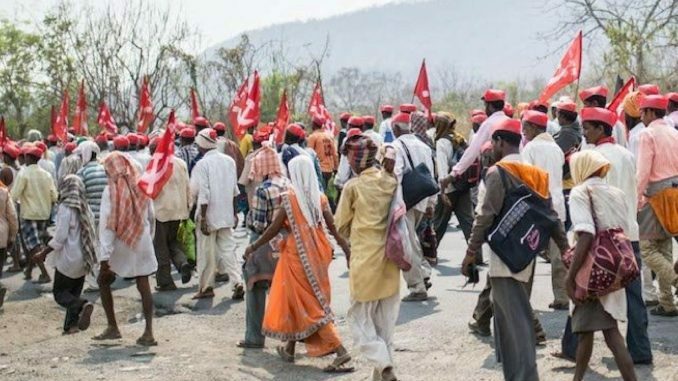 Around 35,000 farmers from all parts of the nation undertook a two-day march, the Kisan Mukti March, in the capital to highlight agrarian distress in the country and reiterate their demands. The farmers came from all parts of the country and united in protest against the inaction of the government in response to difficulties faced by them. Around 200 farmers unions and cooperatives participated in the march. The farmers camped overnight at Ram Lila Maidan before marching towards Parliament street. They were stopped by the Delhi Police a short distance from the Parliament. This is the third such march organised by farmers in the past year. The farmers demanded the implementation of the broad recommendations of the Swaminathan committee without further delay. The main demands were waiver of loans, remunerative prices for their produce and to lessen their debt burden. They called for a special session of Parliament to be convened to discuss the agrarian crisis and loss of crops due to various calamities across the country and compensation for the same. They also demanded that the minimum support price be fixed at 50% over the cost of production. Right to land is another issue that the protesters urged the lawmakers to look into. The farmers were joined by opposition leaders Rahul Gandhi and Arvind Kejriwal in their demands. Social media was flooded with posts of Mumbaikars complaining about a massive surge in their power bills. Adani Electricity Mumbai Limited (AEML) owned by billionaire Gautam Adani took over the power circle from from Reliance Infrastructure in August of this year. Since the takeover residents have complained of a surge in the their bills and other irregularities in billing. Consumers claimed that their bills for October had shown as much as 50% increase from the previous month.Opposition party Congress went on the offensive, with its leaders amplifying the issue on social media. AEML took over the billing from September and even then there had been complaints of overcharging from consumers. At that time, the company blamed the issue on its inability to read meters accurately in certain areas and an “internal agitation on certain past issues”. The firm promised that the issue would be fixed and the consumers who had been overcharged would be refunded in the following billing cycle. However, while some consumers received a credit on their next bill, other continued to find massive surges in their bills. AEML attributed the increase to seasonal variation, claiming that the surge was due to post monsoon consumption which has generally been found to be high in Mumbai. The Pune Metropolitan Region Development Authority (PMRDA) released its 20-year plan for comprehensive urban mobility for the city. The plan has an outlay of Rs 54,601 crores. The PMRDA prepared the plan in collaboration with L & T. The plan is set to cover all aspects of urban mobility for Pune and the surrounding regions for the next two decades to come. The elements of the plan cover a total area of 2172 sq km and includes an integrated railway network that links parts of the city to the proposed international airport to come up at Purandar. The plan aims to increase the share of public transport to 50%. The comprehensive mobility plan is set to be shared with the Pune and Pimpri Chinchwad local bodies in the coming months. The ideas proposed are set to be a vision statement, outlining the direction the city’s urban transportation is set to take. The plan is in compliance with the guidelines issued by the Ministry of Urban Affairs. 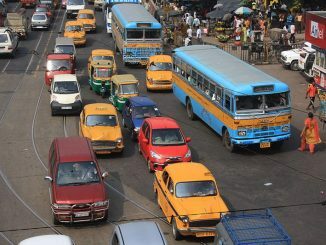 In a bid to get citizens to pay up long pending traffic fines, the Kolkata police announced a waiver of a certain portion of the dues for those who come forward to clear the backlog. The one time settlement on offer is expected to be rolled out in two phases with the first phase starting on December 1st. Citizens may be offered waivers as high as 65% of the fines dues. The fines can be paid online and in person. Non-compliance during this period will prevent erring citizens from getting no objection certificates for actions such as transfer of ownership of vehicle, renewal of insurance and pollution certificates.The first phase will cover vehicles that have been fined until November 15th. 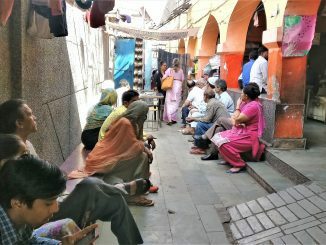 Kolkata Police claimed that despite the lok adalat system that had been clearing thousands of cases each month, the cases with pending fines have run into millions. The waiver has been issued with a view to bring more compliance and clear the backlog of fines due. In the staggered system, those who pay up in the first phase (to run till February 13th), will get a 65% waiver while those who opt to pay in the second phase will get a 50% waiver in the fines due. All clarifications will be posted on the website of Kolkata Police. The Mumbai Port Trust has proposed plans for additional cruises along the coastline to add to the recently launched Mumbai-Goa cruise. The proposal for launching a harbour cruise service has been mooted as the residents do not have services that allow them to enjoy sailing short distances as of now. The service is likely to be from Domestic Cruise Terminal (DCT) in Mazegaon to Gateway of India and Nariman Point, in addition to other harbours around the eastern coast. Small ships with a capacity of 100-150 people will provide cruise services that last around four hours along the coast line. The service is likely to start from around February of next year. The ships will have food courts and entertainment services. If allowed, they will also provide alcohol on board. The tender is expected to be floated soon with the port trust looking to find bidders that offer the highest share of revenue per passenger for the service.